I am endlessly fascinated by the creative mind and art of Al Hirschfeld, who crafted images of Broadway and other entertainment throughout his life, 1903-2003. His subject matter, his hidden Ninas, his perceptions … I am grateful he shared his talent with us. If you live near NYC, there is an exhibition of his work at New York City Center through March 3, 2019. This image is Patrick Stewart in “A Christmas Carol” from 1994. 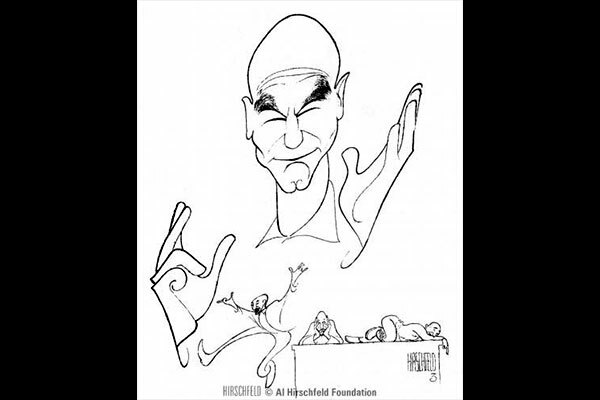 View more of Hirschfeld’s art at The Al Hirschfeld Foundation.